If you are looking for advice regarding cannabis for morning sickness, you are not alone. 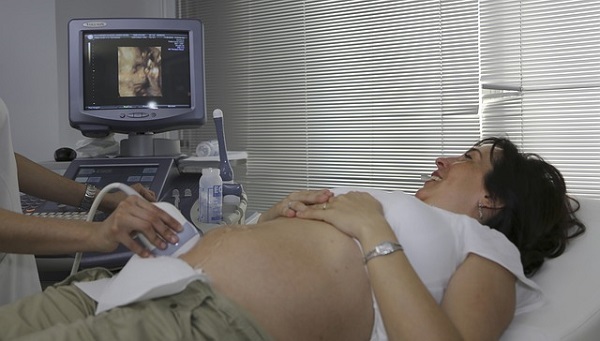 Cannabis use during pregnancy is on the rise, a 2019 research letter shows. The numbers indicate that in 2002, 2.3% of pregnant women aged 18 to 44 years used marijuana during pregnancy and that number increased to 3.85% in 2014 and 5% in 2016. Should cannabis be an option for women experiencing severe nausea and dehydration during pregnancy? Let’s take a look. The results of studies that explore cannabis and pregnancy are mixed, and some go to the extent of looking into the effects of cannabis on the child’s development in later years. Most of these studies are focused on marijuana. 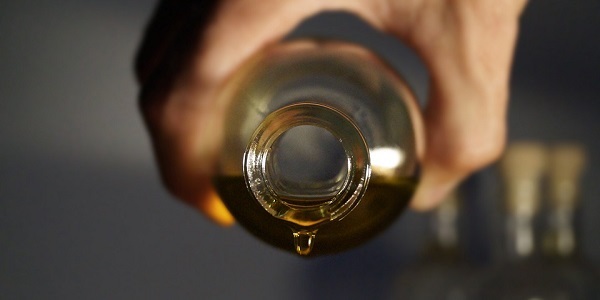 While THC is known as the marijuana component that gets the user high, cannabidiol (CBD) shows no toxic, addictive, or intoxicating properties. The author of the report, Dr. Ethan Russo, an established, long-term cannabis researcher, believes that “cannabis extracts may represent an efficacious and safe alternative for treatment of a wide range of conditions in women,” including hyperemesis gravidarum, a condition in pregnant women characterized by severe nausea, weight loss, and dehydration. The increase in cannabis use during pregnancy can, to some extent, be attributed to cannabis legalization in the United States. 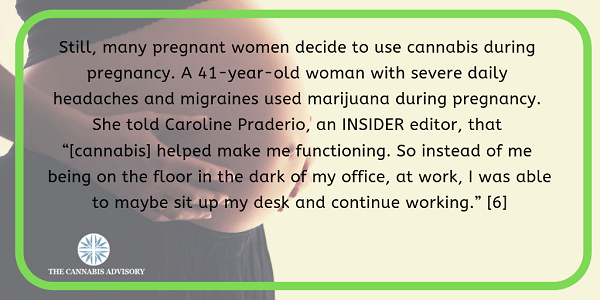 It is important to note that pregnant women who use cannabis can be subject to child welfare investigations if they show positive marijuana screen results. Due to not finding relief from prescription medication, Kennedy started using cannabis and admitted to use at one of her prenatal visits at her doctor. After being drug-tested with positive results, the test report was recorded in her medical file. Soon after the delivery, Kennedy’s babies were tested for a range of substances, including cannabis, and all of the results came back negative. Regardless of the negative drug screening results, the ACS filed a neglect petition against Kennedy, for which she had to undergo a substance abuse evaluation and ongoing drug screens. It is interesting to note that the ACS proceeded with a neglect petition even though the New York law requires evidence of not just occasional drug use but drug misuse for a neglect petition to be filed. Since there was clearly not a case for the ACS, the petition was officially dismissed, but Kennedy learned that she couldn’t even trust her doctor. While some women have received support for cannabis use during pregnancy from their doctors, others have risked losing their children due to revealing such sensitive information. That being said, it is always important to consult a doctor before using cannabis during pregnancy. The cannabis and pregnancy topic is still under research, and there is no evidence of cannabis affecting the children in a negative or a positive way. For some soon-to-be moms, there seems to be no other alternative in treating severe nausea or migraines, but for others, the risk is just too big for cannabis to be even considered.